is now available for you to listen to. “An ambience is defined as an atmosphere, or a surrounding influence: a tint. My (Brian Eno) intention is to produce original pieces ostensibly (but not exclusively) for particular times and situations with a view to building up a small but versatile catalogue of environmental music suited to a wide variety of moods and atmospheres”. This is where it gets very interesting for me. I’m a big believer in music for different moods, for different times, and different feelings, and this is just one of the reasons why my site/label is ripped straight from Ulrich Schnauss’ album A Strangely Isolated Place. This type of music transports me to wherever I want to be. It enables me to escape; helps me picture myself somewhere else entirely. And this is often the strength of ambient music – its atmospheres, emotion and the clear intention of depicting different environments. Well that’s when Brian Eno coined the phrase ambient. I don’t want to dwell too much on the evolution of ambient music, as this is where many other people could tell a better story. It’s my experience. Plus, I wasn’t born in 1978 and wasn’t even listening to music until a good fifteen years later. The UK can often be seen as the driving force for early electronic ambient music. The Orb will always be referenced for their pioneering work on The Orb’s Adventures Beyond The Ultraworld (1991) and helped spur a new type of approach to this type of music, by combining samples with their innovative production techniques and depicting lengthy journeys, often with no defined beginning, middle or end. Back on track (like the Brownsville Turnaround on the Tex-Mex Border), and a beginning wouldn’t be a beginning without Aphex Twin. Many people know him now as the techno overlord of late, but for the oldest of fans, Richard D James garnered much of his respect through his Selected Ambient Works – his debut album released in 1992, documenting many of his productions from ’85 to ’92. There’s no denying this is one of the most accessible and enjoyable places to start if you’re trying to understand electronic ambient music. 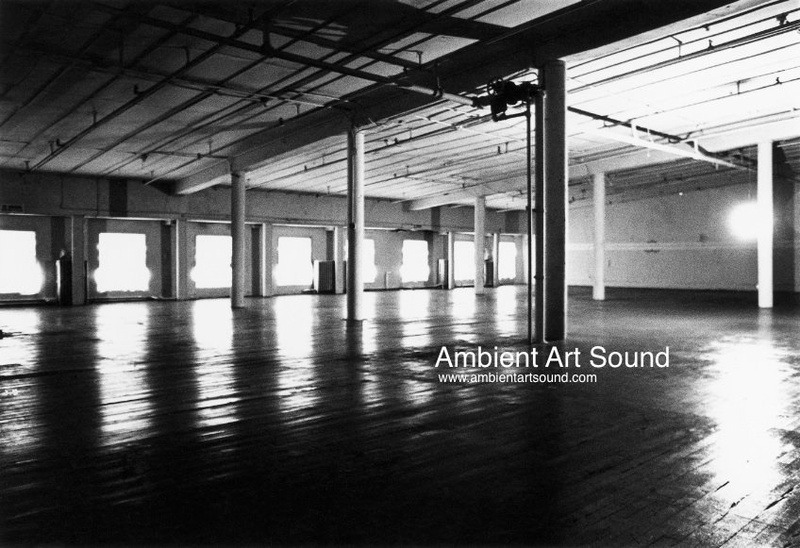 This album was followed by Selected Ambient Works Volume II in 1994, and again continued to define much of the electronic ambient music we here today. When records such as Aphex Twin’s SAW started to hit home, ambient music started to gain serious traction. The 90’s are often cited as the good years of both electronic and ambient music, and with this growth came a multitude of takes on the style. Electronic equipment became more accessible and an underground electronic music culture began to grow. Alongside Aphex Twin, the likes of Autechre and µ-Ziq (Mike Paradinas) pushed the electronic (and in particular) “IDM” sound to new places. Whilst neither are strictly ambient artists, both played their part in creating some of the best ambient music during this period and shouldn’t be overlooked. This recent dedication to Mike Paradinas’ ambient work as µ-Ziq, is a great place to start, and Autechre’s Amber, whilst not often highly praised, will lead you down some seriously dark rabbit holes to explore. Autechre’s VLetrmx21 remains one of my favourite pieces to date if you still need persuading – it’s a dramatic, poignant and thought provoking piece. Needless to say, record labels such as Rephlex and Warp played a big part during this period. Global Communication. 1994. Tom Middleton and Mark Pritchard. 76:14 still remains one of the most ‘underground’ ambient albums despite The Guardian listing it within their 1,000 Albums To Hear Before You Die list. With tracks titled according to length, 76:14, continued to expand on the entire listening experience album we grew to love – not just a set of individual tracks. To this day I probably couldn’t tell you the title of a particular track, because I nearly always listen to it from start to finish – the way it should be. Global Communication went on to release several other records, but none came close to the prowess of 76:14. For those who’ve dug around Tom Middleton and Mark Pritchard, their work as on The Keongaku EP prior to this release is as close as you’ll get to the 76:14 experience. It would be rude to overlook Geir Jenssen (aka Biosphere) at this point. His 1997 album Substrata is perhaps the modern-day Brian Eno experience, focusing on intimate listening and the very definition of background ambient music. More genre terms come into play with Biosphere (ambient-techno for example) but Geir is a true pioneer of the genre and to this day can be found sampling in the plains of Norway, playing rare live performances and sometimes putting together an eclectic DJ mix. Geir remains an elusive character within my knowledge of ambient music, but is no doubt one of the most respected. The late Pete Namlook and his German Label FAX were also a significant driver of ambient music during the early 1990’s. This is an area which I still need more time to explore, but if you read any top list of ambient albums you’ll be sure to find a FAX release in there somewhere. As of August 2005, Namlook and company had released 135 albums – experience some of them through this tribute mix. Moving towards the second-half of the 90’s, ’96 witnessed the debut of one of the most instrumental characters in the ambient scene today, Wolfgang Voigt. His self-titled album as Gas, triggered a whole new world of dubby, atmospheric ambient music. Wolfgang is undoubtedly the reason why ambient music still has its place on one of the biggest techno labels of our time (as co-owner of Kompakt) and as a result, a big reason why the genre continues to evolve and make an impact on producers today. Released on the influential label Mille Plateaux label, Gas releases remain some of the rarest LP’s on Discogs. This is where I risk a major drop-off in readers, but the late ’90s Trance era played a big part in my addiction to ambient and chill-out music, so I feel it’s important I cover it here. Perhaps this train of thought is new to many, or some don’t want to be associated with a genre which is now quite frankly, an embarrassment and laughing stock to anyone over 18 years of age. But the true Trance era (say pre-2002) was undoubtedly an offshoot of some of the best psychedelic ambient productions, and helped define the true meaning of chill out before it was commercialised by the likes of Ministry of Sound and Hed-Kandi and ultimately generalised into EDM. Rabbit In The Moon, Humate, BT, William Orbit, The Art of Trance, even Tiesto (yes, just listen to his late ’90′s work as Kamaya Painters and Gouryella) and labels such as Hooj, Platipus, Lost Language, and Bonzai were responsible for some of my favourite trance music in the 1990’s and in particular, a trend which emerged to be most relevant to this article; the ambient remix. Whilst this may send shudders down many ambient fans spine, I have no shame in admitting how much I enjoyed some of the remixes to emerge from trance music in the late 1990’s and early 2000’s. The ambient remix of Pete Lazonby’s Sacred Cycles (sampling Genesis no-less) and Energy 52′s Cafe Del Mar, remixed by Michael Woods (2000) come straight to the top of the pile and this compilation by Solar Stone (2001) encapsulates some the best remixes to emerge (ironically including Tangerine Dream’s Love On A Real Train). I won’t dwell on it here, as you’ll know by now i’m a closet trance fan, but I still visit the likes of Salt Tanks Sargasso Sea, Chicane’s Far From The Maddening Crowds and Way Out West’s debut album on a regular basis. And if you still need persuading on the impact of ambient music on trance, Orion & J.Shore’s isolatedmix does a perfect job elaborating on some of the brilliant music being made in this vein today. This may also be a good place to introduce Brock Van Wey aka bvdub. Whilst I definitely wouldn’t describe his music as trance, it’s certainly an original take on trance-inducing productions. His pieces are often over ten-minutes long and are a lesson in progressive atmospheres, peppered with techno undertones and more recently, even garage-esque beats. 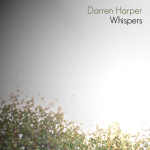 He is a pioneer of the modern-day ambient sound and a must for anyone new to the genre, with an outstanding work ethic and an unparalleled output. I’d recommend starting at his 2011 release, Songs For A Friend I left Behind, and in particular I Would Have Waited. Or, for that truly euphoric effect, try 2012’s, Don’t Say You Know. Back on the perhaps more expected ambient evolution, and some of my favourite labels are setting up shop in the early 2000’s. But they’re evolving the sound and pushing the very limits of what we’ve previously known. Electronica is a largely debated genre and in my eyes can represent a wide range of electronic music which isn’t necessarily meant for dancing, but more for listening. From glitchy IDM based analogue music, to downtempo and ambient drones infused with sparse beats and heavy melodies. This is where I truly fell in love with music. Ambient electronica managed to combine the escapism and relaxation of ambient music, alongside more interesting and complex electronic production techniques. And none can be more responsible for inspiring me more than City Centre Offices. It was the early 2000’s that unwittingly birthed one of today’s biggest stars of the genre, Jon Hopkins. Released on British Label Just Music, (also home to Echaskech and Honeyroot – two more gems that need more listens) Jon Hopkins began his career with a sublime style of ambient electronica on Opalescent. Both Cold Out There, and Private Universe are essential ambient tracks that epitomised the promising career Jon had ahead of him scoring films (Monsters); being nominated for a Mercury Music Prize; making head-rattling electronica on Immunity and my favourite; sampling the London Olympic Games opening ceremony fireworks on Abandon Window. Whilst we’re here, dive further into Ghostly’s catalogue and you’ll find the purest of ambient and experimental music sat alongside the more popular electronic functions it’s now famous for. 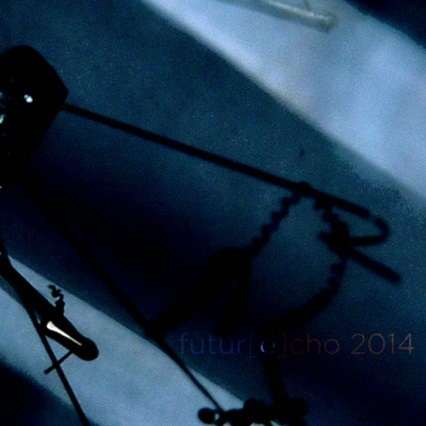 With artists such as Loscil, The Sight Below, Heathered Pearls, Christopher Willits and KILN. For a true round-up of Ghostly’s amazing contribution to modern ambient music, head to their SMM Series. Diving deeper and one of my favourite labels, n5MD has been responsible for some of the most interesting ambient electronica of recent years. Loess, Crisopa, (ghost), Ocoeur and Preghost are just some of the artists producing this unique style of electronic music and making it hard to pin them down to one particular style. The label is also home to more ‘IDM’ style artists such as Arovane and Proem and the more recent ambient crossover with shoegaze & post-rock (see further below) via port-royal, Lights Out Asia and Bitcrush. Whilst Kompakt Records grew synonymous with the emerging minimal techno scene hailing from Germany in the early 2000′s, Wolfgang Voigt (Gas) quietly coined his own style of ambient music – labelling it Pop Ambient. This yearly series is now synonymous with a very certain production style and ethos, challenging the very meaning of ambient music, but always rooted in layered drones, cyclical sculptures and often traditional instrumentation. Marsen Jules, whilst originally releasing on the aforementioned City Centre Offices, also makes regular appearances on Pop Ambient with his intense poems in sound. As does Argentina’s Leandro Fresco, another master of beautifully composed, richly coloured ambient music. 2015’s edition sees Kompakt continue to push into new realms, bringing regulars such as bvdub, Ulf Lohmann, Gustavo Lamas and Leandro Fresco back into the warm fold alongside newcomers like Thore Pfeiffer. As techno music grew and evolved in the 2000’s, ambient music was treated to some of its most defining and innovative moments. Ambient techno is an area of ambient music so rich, that I still discover new (old) titles every week. Strictly speaking, ambient outputs didn’t stray too far from its origins, as German labels such as Traum Schallplatten and Raster-Noton gathered pace in the 2000’s (see my tribute mix to Traum’s ambient output here) alongside the likes of Mule Musiq/Mule Electronic, artists such as Koss, Minilogue, (Sebastian Mullaert is releasing a new ambient album with Eitan Reiter on 18th October) and Lawrence with his forthcoming ambient LP A Day In The Life. One of the best releases to define this style of ambient music was the Composure Ambient Techno for Japan compilation. Put together to raise funds after the Japanese Tsunami in 2011, this compilation includes some of the finest music to grace the term ambient, techno or indeed ambient techno. From here, if you dig further, your world opens up into the multitude of amazing artists included. From following Donato Dozzy, you’ll find his 2010 release ‘K’ and perhaps stray into the sublime ambient techno world of Voices From The Lake. The Sandwell District, a couple of techno artists who (unfortunately) came together for just one album, will lead you to Feed Forward – another classic approach to ambient techno. And finally, one of my favourite producers, Donnacha Costello – I’ve done all the hard work for you here and highlighted some of his finest pieces to date. Sharpening the ambient side of dub-techno even further, Iceland’s Yagya pioneered his unique style on his widely praised album, Rigning. It came some seven years after his first release in 2002 (Rhythm of Snow), and I can pretty much guarantee that any new fans of Yagya are working their way backwards through his catalogue, especially after his most recent release on Delsin. Rigning, is a perfect example of sticking to what you know best and perfecting it; the sound of rain on your roof, the clap of thunder, emotional, rising pads and a driving dub-techno beat. Yagya doesn’t stray too far from the formula throughout the album, but manages to encapsulate you to the very last drop. It seems as though this style is a thoroughly independent practice at the moment, with most of what I listen to released by the artists direct through the likes of Bandcamp. Finding dub-techno on vinyl is a nearly impossible affair, yet labels such as Dewtone Recordings, and Silent Season, two of my favourites, do their very best in pushing this type of independent music forward. Whilst neither are strictly focused on dub-techno, both have a rich roster of artists that span this style, alongside straight-up ambient and more experimental sounds. ASC, Edanticonf, Purl, Alveol, Segue, Martin Nonstatic and Adam Michalak come highly recommended. The below track by Textural Being epitomises the slow burning melodies and atmospheres of dub-techno I have grown to love. Whilst dub-techno added rolling beats to ambient music, there are those stripping away the more obvious mechanics and focusing purely on mood, atmosphere and repeated layers of sound. Drone is one of the more reserved and less accessible styles of ambient music, yet is probably the closest to the genres original conception, and arguably pre-dates Brian Eno through the 1960’s minimalist movement. BUT, they didn’t have a hashtag back in the 60′s. Drone remains a style which I’m less familiar with, certainly when it comes to the intricacies of its design and origins. This is mainly because of the appreciation needed for the instruments used in the making of this music (for experts on the subject, check out our friends Headphone Commute and Futuresequence). But attending a workshop with Rafael Anton Irisarri aka The Sight Below, (or his Substrata Festival) you begin to see the complexity involved in sound design and the meticulous detail that goes into this style of music. What can seem like one single sound, is often a series of instruments, processors, loops, delays, vocals, samples and hours of hard work. And then sometimes, it’s just a plain and simple live jam between the biggest music geeks in the world. Approaches can vary from the very light and melodic ambient tones of Loscil, through to the legendary tape-loops of William Basinski’s 2002 Disintegration Loops. And further along the spectrum, the haunting wall of noise of Tim Hecker. It’s a little unfair to include modern classical music amongst the ambient genre. After all, compositions and performances are meant to be heard, studied and to a large extent, watched – the opposite to the definition of ambient music at the start of this article. But recent years have seen such an emergence of brilliant artists I want to include them here due to the massive influence they have on me and the music I listen to today. Not only do ambient fans often love this style of music, but there’s some artists that lend themselves to both ambient and modern-classical musings too. Composers such as Ryuichi Sakamoto played a large part in integrating modern classical into the ambient or techno genres, partnering with the previously mentioned Alva Noto for example. But more recently there’s just one label that’s heavily influenced me: Erased Tapes. Often alongside Nils is Ólafur Arnalds, the Icelandic multi-instrumentalist. Likewise, Ólafur is a genius with the piano and together the pair have propelled the modern classical genre forward in recent years, simultaneously restoring my faith in the live performance at the same time – spellbinding, magical and utterly breath-taking every time. Expanding even further into the Nordic realm, and Otto A Totland’s Pino, is another great composer (and Pino boasts a beautifully packaged CD to boot). And lastly, where instruments add depth and character, there are those that use them in the most subtle of ways to add just that little more colour to an otherwise calm and subtle ambient drone. Keith Kenniff, (or Helios to many), is a great example of this approach, alongside 36 – an independent musician from the UK releasing some of the most powerful, tear-jerking, melancholic music possible. As are the many, many artists that seem to hail from Japan like Arc of Doves, Ex Confusion, Nobuto Suda and the Home Normal collective. There’s no doubt that ambient music is at one of its strongest points for a long time (as FACT Mag politely pointed out recently – and to answer the question I don’t think we’ll ever beat the 90′s!) It would be easy for me to list some releases that are coming up this year which excite me, but that’s one of the main reasons my site exists. Ambient music, drone and modern classical in its purest form, will undoubtedly remain the same, as they aren’t scenes revolving around a place, a movement or a bunch of people. But I’m always excited by the producers, labels and artists that are looking to push this type of music further. Why bother looking forward to the next best thing when all that matters is what RDJ has been keeping in his locker for the past twenty years? Well that’s it. My journey through ambient music. And looking back it’s about as much as I can tell anyone who wants to listen to some of the greatest music on this planet – there’s 113 videos in the playlist below, and around 150 links out to explore more. Below is a Youtube playlist featuring some of my favourite tracks mentioned in this article. It should keep you going for a very, very long time. And lastly, always remember to support the many artists featured in this article, doing their own thing and making our lives much more pleasurable. Gritty & granular textures that are right up my alley..! This piece was created in these last few days leading up to the Blood Moon night of October 8th. So much of my work is born from the deep end of the night immersion. Staying aware of the moons many phases, from full to new has always been a part of my creative undercurrent so the opportunity to acknowledge this moment in time made this piece flow forth with out a question. Tuning into this Blood Moon feeling mixed with that sense of the seasons change in the air right now is inside this piece for me, and now I quietly offer it up to the moon and to you in this more spontaneous way only through Bandcamp. aka: Music For Intergalactic Airports – a slightly gorgeous, quiet piece from Mr. Gerard, due out sometime in 2015. David Gerard is a 30 year veteran in the field of ambient music, with 14 solo albums, and 2 as part of the ambient group, Elysium. He plays guitar, keys, synthesizers and percussion. Listen to his music on SomaFm. His music can be found on the label Orbiting Orion.A new single Entitles Tethered (for Brian), Brian Eno of course, Is on his bandcamp page for listening only at this time and I think it is well worth the listen.